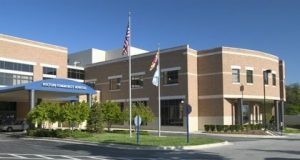 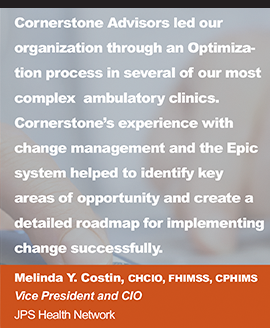 The comprehensive, project included data migrations, process redesign, evidence based clinical content, and new functionality designed to meet today’s evolving healthcare landscape. 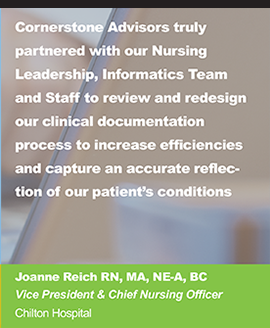 Now with the ability to have one universal health record per patient, the new version improves patient safety, accommodates recent governmental regulations changes, and will increase efficiencies for physicians and staff. 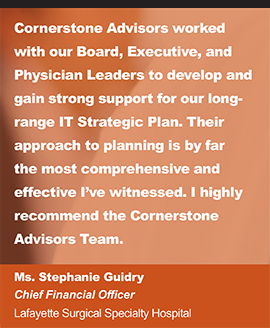 “Cornerstone Advisors is proud to partner with the transformation teams at Kalispell, Cabinet Peaks Medical Center, and Marias Medical Center, during the MEDITECH 6.1 implementation. 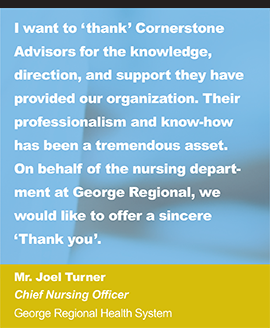 This is a true partnership with all organizations involved. 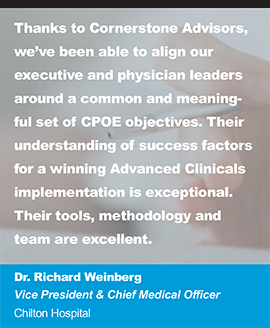 Standardizing the acute and ambulatory environments for three independent organizations will allow for cost savings, workflow efficiencies, and increased patient safety.” says Jeff Webber, Vice President of the MEDITECH Practice of Cornerstone Advisors. 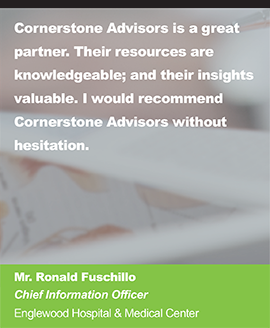 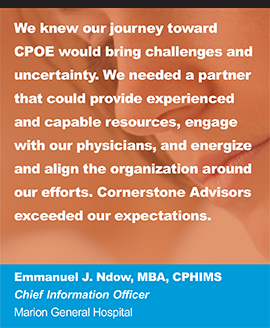 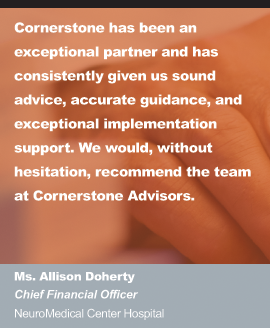 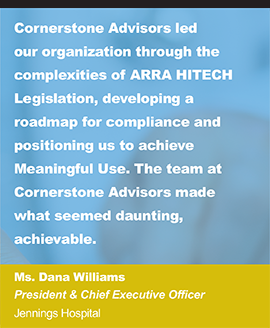 After a competitive process, Cornerstone Advisors was selected to lead this implementation due to the unique implementation approach and in-depth team experience leading large-scale projects. 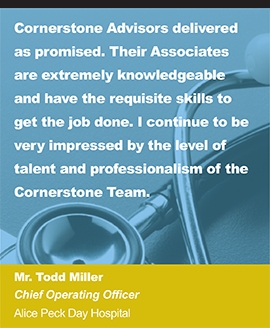 Congratulations to the Kalispell, Cornerstone Advisors, and MEDITECH teams for a successful implementation!